The Skull Rangers are a obscure and oft hidden sect of Monster Rangers who serve and aid “Bloodless” creatures of all sorts. On the darker side, they wear all black, and they claim that Halloween is the greatest day of all. 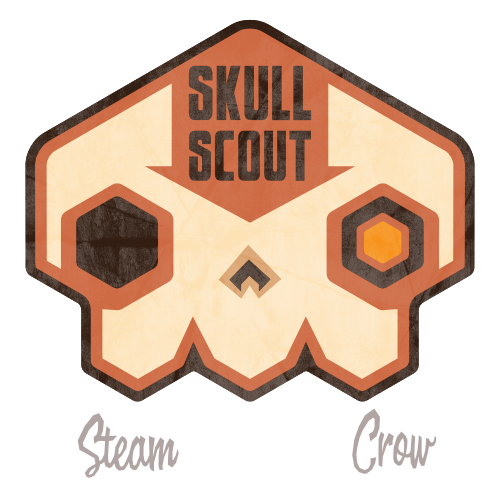 There is but 1 level of the Skull Rangers Core Badge. It is an old and dusty level, at that. Skulls are fun to draw. You should try it some time, if you haven’t. The Core Skull Rangers Spirit Badge is worth 25 Glory points. Skulls are a classic “memento mori”; a reminder of death. You don’t turn this in for credit; you simply log it into your Rangers notebook – Monster Rangers Honor!